Dance the world in Europe’s biggest crossing station! Contemporary Tango Festival is dedicated to the global variety of Tango Argentino and the impact of this world cultural heritage on all the international artists, who live and work in Berlin. 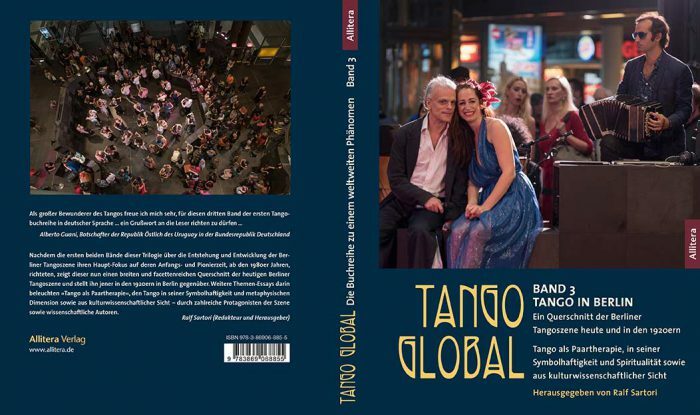 Tango as an international communication tool in-between an urban reality. You are also invited just to watch and enjoy the scene as a spectator. Live-music every day – free entrance for all Milongas, concerts and the beginner classes. Wednesday – Saturday 21. – 24.08. Tango Argentino is a social dance based on improvisation and on alert and careful communication with the partner, thus creating this particular closeness and authenticity. Musically, the Tango is a mixed culture, born in the immigrant scene of Buenos Aires at the end of the 19th century around the Rio de la Plata with lots of European and African influences. The Tango Nuevo then became friends with jazz, the Electro Tango with the possibilities of electronic music, finally Neotango opened the Tango to all kind of Non-Tango and musical Experiments. There is Russian, Finnish and Turkish Tango and constantly the material is expanded and recombined.